If you’re located in Navarre and in need of a garage door repair professional, look no further! Blue Water Garage Door Services has been repairing garage doors along the emerald coast for over 21 years, we are very devoted to our gulf coast residents. Our technicians strive to give the best output and the best customer service. If you have questions or you simply want to know how much a repair will cost, we offer a free service call! 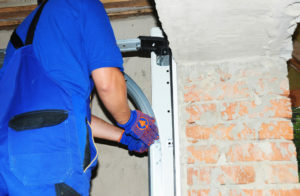 We will come to your property and assess the damage to your garage door in order to get your garage back in working order as soon as possible. We can also give you the exact price for the repairs, to make it easier for you to know exactly how much the repairs will cost without any surprise last minute fees. We want our customers to feel that they are under the care of professionals. We can fix any and every garage door with ease, resulting in a finished product that is often better than before it broke. With affordable pricing, quality products, and service like you are family, there’s no better choice than Blue Water Garage Door Services for all of your garage door needs! Contact us today to schedule your repair or new garage door estimate. Also serving the Gulf Coast and surrounding areas.